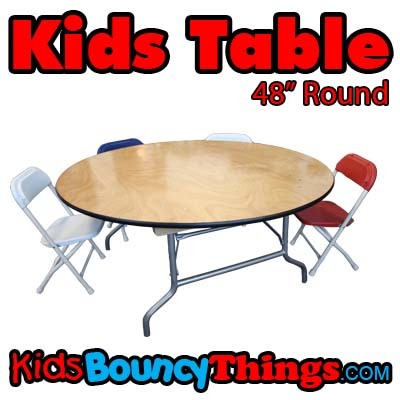 This 48" Adjustable Round Table is perfect for those kids parties. The tables are made of plywood with steel folding legs. It can also be used indoors and outdoors. What is a party without somewhere to sit. Don't worry we have you covered.